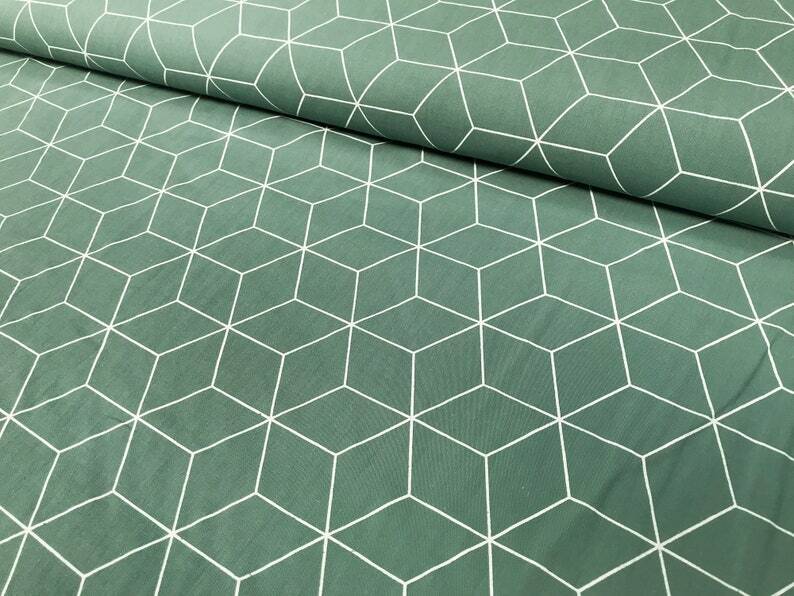 Very nice cotton fabric in old green with geometric cube pattern/hexagon. A cube side is about 3.5 cm long. This great grey cotton fabric is also available in the colour-coordinated fabric package here in the shop. Perfectly suited for blankets, bedding, pillows, curtains, Kinderzimmerdeko, dresses, blouses, shirts, scarves and much more.